This week I am bringing to you a review of some fabulous Pixi beauty products. 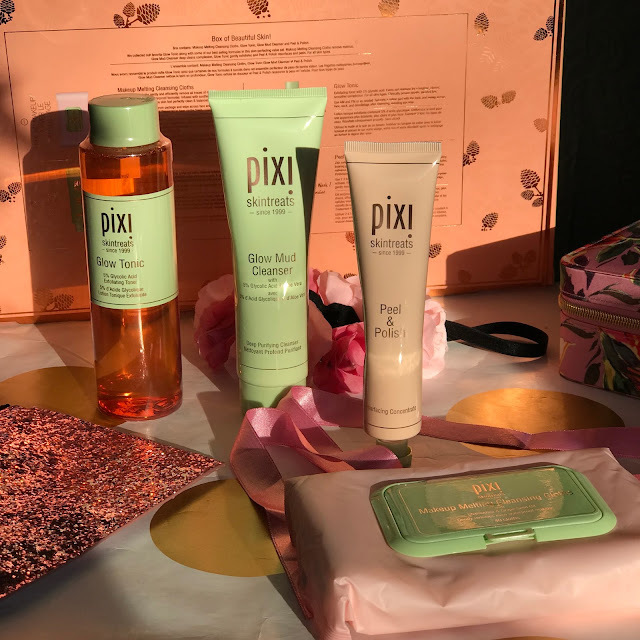 I have been using Pixi skincare for a while now and my love affair first started with the Glow Tonic which I spoke about on my blog 2 years ago (click here) . So the fact that I still use this product is testament to it's amazingness! 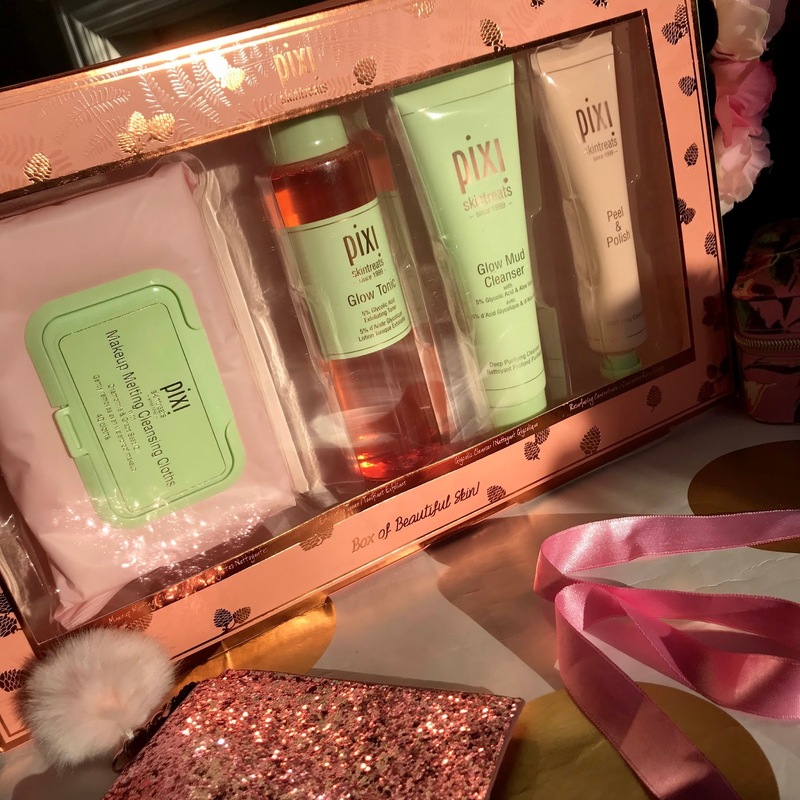 Over Christmas Pixi always do fabulous gift sets and I was lucky enough to get one from my sister. This particular one was £35 and contains the Glow Tonic, Polish and Peel, Glow Mud Cleanser and Make-up Cleansing Cloths. 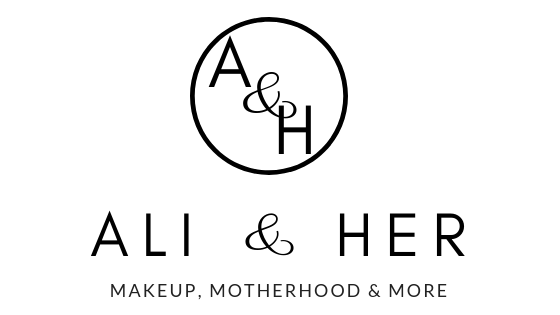 I have been using the products for month now so thought I would give your my verdict on my whole collection. First up we have the Glow Tonic itself (£18). I use this as a toner once a day on a cotton pad. I swipe this across my skin and it literally energises my skin. It contains 5% glycolic acid which is great for removing those dead skin cells and helping the skin to regenerate. It also contains things like Ginseng and Witch Hazel which is where I believe it's spicy smell comes from. With continued use this literally helps the skin restore itself and glow. It's a firm favourite in my routine and I don't see it going anywhere soon! It is usually £18 on it's own so when I saw it included in the gift set I was thrilled. A few summer's ago I also purchased Pixi Glow Mist (£16). As if I wasn't already glowing enough I knew when it launched I needed it. The Glow Mist is an oil based spray which can be used to hydrate the skin and set make up. This was not part of the gift set and I mainly use this in the summer to give my skin a dewy shine. Once I have applied make-up I give the bottle a quick shake and spray over the fact to give a luminescence to the skin. In winter month's I tend to just spray over my dehydrated skin after I have removed my make-up. I have also been known to spray over my body and hair. Just saying. It contains 13 natural oils and is a concoction of goodness and I definitely recommend. Now for the rest of the gift set. These are all products I have been using over the past 4 weeks. Firstly the Make-up Melting Cleansing Cloths (£10). No these are not 'wet wipes' they are 'cleansing cloths'. They are packed with camomile and grapeseed oil so literally feel as though you are conditioning your skin while you remove your makeup. When I have used wet wipes in the past my skin always feels so dry afterwards that I immediately wash and moisturise. But with these I literally feel as though I can leave my skin to it as they have removed my make-up as well as repaired my skin. Within the gift set I also received the Glow Mud Cleanser (£18). Another glow product, Ok yes we are seeing a pattern here. My skin after Christmas was really bad. I had a lot of break outs and redness due to the amount of rich foods I was consuming. So I was hoping by using this it would calm my skin down and I was right. I have been using this 3 to 4 times weekly and the aloe and lavender within has calmed down my breakouts and redness. You can also apply and leave on as a mask which is an added benefit. The final product in the gift set is the Peel and Polish (£26). I have wanted to try this for ages. The peel and polish is an enzyme mask which is applied to dry skin. You then leave it for two minutes to allow the enzymes to activate and finally rub into the skin like you would an exfoliator and rinse off. The product is intended to act like a peel and resurface the skin. This is just what I needed, as like I said before my breakouts had left my skin quite bumpy. I have been using this twice a week for the past four weeks and literally feel as though my skin is back to normal. I love the fact it tingles a bit when applied as it also makes me feel like it is doing something. So that's it folks. 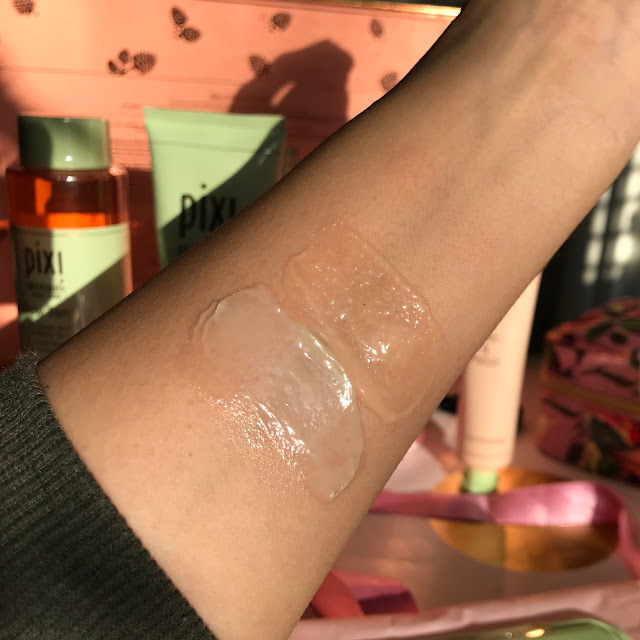 As you can see I am so impressed with Pixi skincare. My collection is only going to grow further. These are genuinely products I have added to my skincare routine and can't see them going anywhere for a long time. One thing I definitely want to try next is Pixi Make-up. So if you have any suggestions please fell free to let know what in the comments below! I really want to try some Pixi! Lucky lady! This is a fab gift set! While I'm not a huge fan of the Glow Tonic I I've been loving quote a few of their other skincare treats. I got my first Pixi products a few weeks ago and am loving them. Definitely going to take you up on some of these recommendations. So many of my faves all in one set! The glow mud cleanser and the peel and polish are ace! I really love Pixi, the Glow Mud Mask is my fave decongester & realy enjoyed Glow tonic once upon a time. Definitely want to try all of their rew Rose range! Pixi is a great brand, I've tried a few of their products you've mentioned. You got yourself a little bargain with this set.